When my daughter was little we got the boxed set of all the Star Wars films one Christmas. She didn’t like the original movies I grew up with, which I blamed on her mother’s side of the family. She preferred the new films, specifically the one where Darth Vader is saved from the lava planet and rebuilt into the iconic Sith lord. 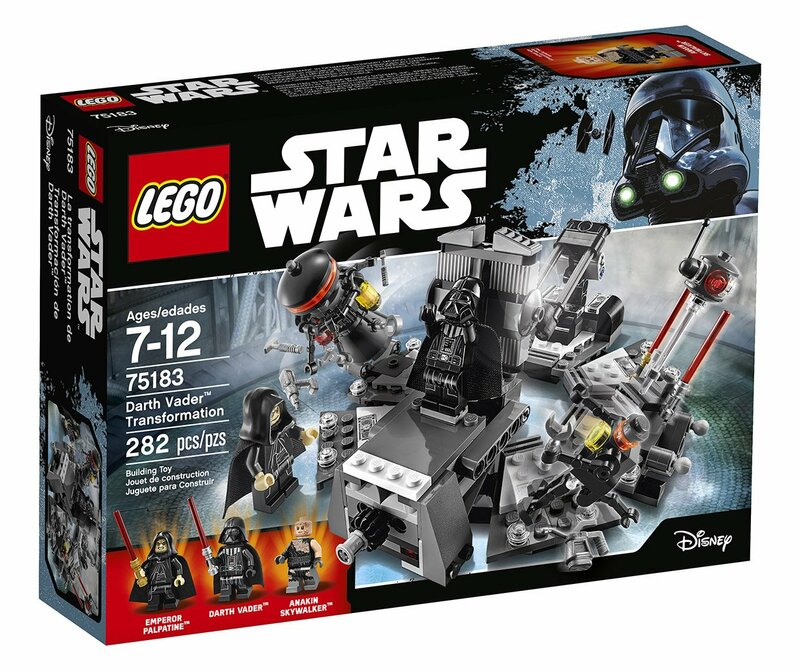 If you or your kids like that movie, there’s a LEGO Star Wars set that has the getup that was used to create Darth Vader. The kit has several Vader minifigs in various stages of transformation and the medical bay where Anakin became the man-machine we all know and love. Walmart has the 282-piece LEGO set on sale for $13.99 right now, which is $5 off the regular price.